Constructed in 1971, Hendry House was designed by the renowned modernist architect Ojars Kalns, with landscape architects Justice & Webb conceiving its sprawling concrete-contoured garden plots. 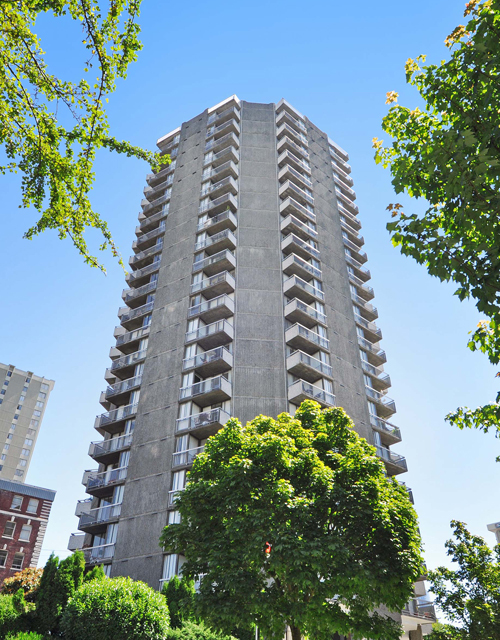 The high-rise’s name is a reference to the famous Scottish businessman John Hendry who, in 1902, built his home on the very same coveted corner of Jervis St. and Burnaby St. Receiving the posthumous honour of “Person of National Historic Significance in Canada,” Hendry is recognized as a key innovator in Vancouver’s urban development. As the first lumber baron in Western Canada, his railway system was used as a model for the industry throughout the rest of the 20th century. Hendry also owned the city’s first fuel combustion car four years before Vancouver built its first gas station. Across the street from Hendry House sits one of nine pedestrian-only parks in the West End, strategically placed in the early 1970’s by the City of Vancouver. While the creation of these parks did manage to decrease traffic and noise levels in residential areas, their primary purpose was to proactively disperse any illicit nightlife culture that might develop along main commercial streets. This was one of the first times in Vancouver’s history that city planning was overtly used as a tool for influencing the moral culture of an area; and it was a great success. 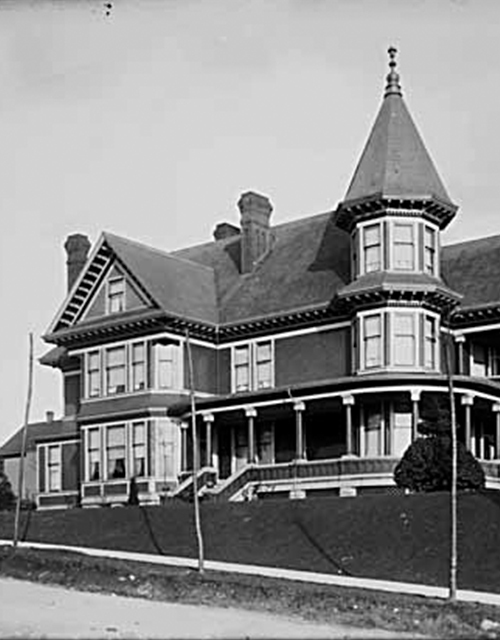 Hendry House was acquired by Hollyburn Properties in 1986. Today, with its secluded outdoor pool and patio set on a terrace of bold stone and lush greenery, it still stands as one of the West End’s most iconic high-rise buildings. Like its namesake and the surrounding neighborhood, Hendry House serves as a reminder of the power of innovative and intentional design, and the transcending appeal of quality construction to the modern renter.